Expert Bookkeepers for Ballarat, Geelong and Ararat. With Accountable Bookkeeping Solutions (ABS) you can be sure that you will receive expert bookkeeping services and advice. Why? Because our bookkeepers are also fully qualified accountants with vast experience in servicing small businesses. ABS was established by Ballarat accountant Kelly Howard, who recognised the need for quality, expert bookkeeping services in Ballarat, Ararat and Geelong. 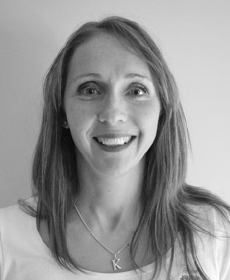 As well as being an accountant, Kelly became a fully accredited bookkeeper in 1996. In establishing ABS, Kelly has implemented bookkeeping systems designed to integrate seamlessly with your accountant’s software. All your bookkeeping information can be downloaded straight on to your accountant’s system, making it easier for you at tax time. As well as her accounting background, Kelly also has significant experience in accounting software training and can conduct training at your premises, or ours, in group sessions or one-to-one if you prefer. Kelly looks forward to speaking to you about your bookkeeping needs including: Accounts Payable and Accounts Receivable, Payroll and Superannuation, Bank and Ledger Reconciliations, BAS Preparation and Financial Reporting. ABS are also experts in establishing which software accounting product best suits the needs of your business and can provide advice on MYOB, Reckon ( fomerly Reckon) and POS software systems. Kelly from ABS invites you to talk to her today about your Ballarat bookkeeping services and business support needs via Contact Us, by phoning 03 5331 3118 or email.